So you’ve decided you’ve had enough with Instagram or your brand is no longer active? Here’s how you can delete your Instagram account. Unfortunately, you can’t delete it directly form the app and only from the website directly. To do that, go to the Instagram account management page. You’ll be asked to log-in to your account in the beginning of course then for a reason to why you’re deleting your account after which you need to retype your password. You cannot bypass the step for why you’re deleting your account. You need to select an option to go through with the process. 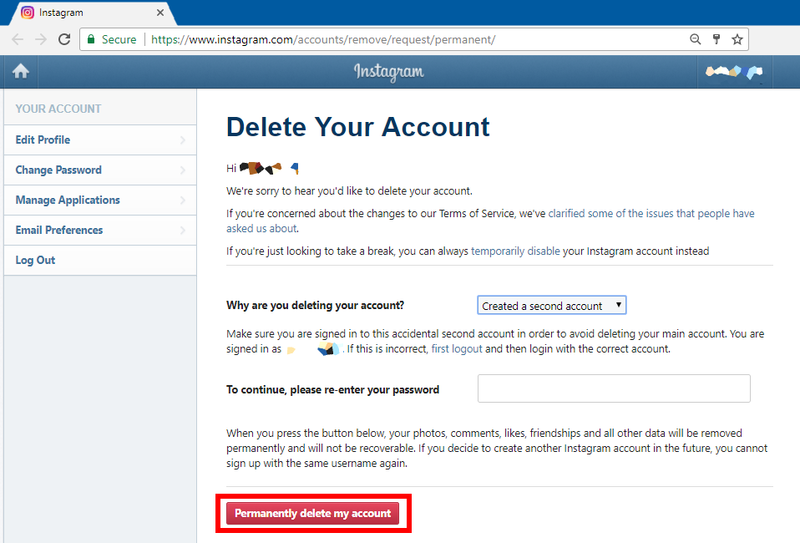 If you’re not sure that you want to delete your Instagram account completely, you can just temporarily disable it.